This week the great and the good gathered at Davos for the World Economic Forum’s (WEF) annual meeting. One of the issues debated was fundamental to all of us. How will we be able to feed 9.8 billion people by 2050? Today there are 7.2 billion of us and yet 800 million are undernourished, 2 billion micronutrient deficient and 2 billion overweight or obese. Food production, transportation, processing and waste are putting a strain on environmental resources which is not sustainable. This affects all of us, not just those currently in poverty. Yet WEF research shows $14 billion in investments in 1,000 food systems-focused start-ups since 2010, while healthcare attracted $145 billion in investment in 18,000 start-ups during the same time period. Given the linkage between malnutrition and poor health this seems extraordinary. The future looks bleak. But it need not be. World leaders were told that food production was decades behind other industries in the adoption of new technologies and that some of the solutions are already available. What is required is significant additional investment in innovation and the collective will of the food industry, governments, civic society and the third sector. 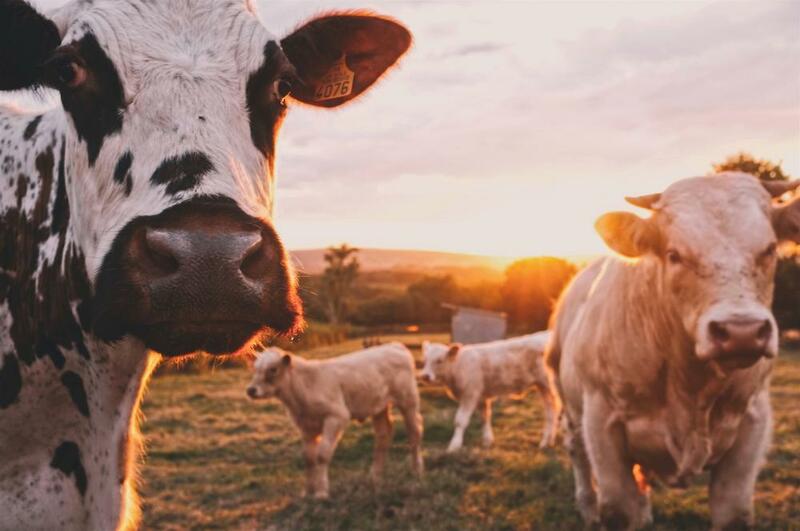 The World Economic Forum (WEF) has produced a paper Innovation with a Purpose which outlines how technology can drive change in food production and how we can overcome the challenges to achieve it. Some of the proposed solutions are revolutionary. · There is enough food produced today to feed the global population yet around 800 million people are chronically undernourished. · Nearly one third of global food production – 1.3 billion tons of food – is lost or wasted. · Modern food systems consume around 30% of world's available energy and are heavily dependent on fossil fuels. Agriculture is the world’s largest employer providing work for 60% of the populations of less developed countries, many of them live in poverty. Yet it is riddled with inefficiency and ineffectiveness. One example is in India where 30% of all food goes to waste. This is because small farmers do not have cold storage facilities. The effect is that the large farmers that do stockpile food leading to massive price fluctuations whilst small farmers are forced to sell what they can immediately after harvest. In response an Indian company, Ecoven has invented a solar powered cold storage system. After two years those farmers with it have seen profits rise by 40%. This technology could be harnessed in many countries to help reduce waste. There are currently between 100 and 150 farms across the world without electricity. WEF estimates that widespread adoption would eliminate around 15 million tonnes of waste. We may soon also be able to help reduce waste at a household level. A number of companies are developing apps which use sensors to analyse the quality, nutritional value and freshness of food. They are not currently available for mobile devices but once they are there will be no need for sell by and use by dates. WEF believes that this could ultimately reduce waste by up to 30% in developed countries. Today livestock account for 15% of greenhouse gas emissions and occupy a quarter of all the land on earth. Finding alternative sources of protein will be key. They will need to become commercially available at prices equal to or lower than other proteins and with equal or better nutritional content, taste and texture. Consumers will need to be involved. Two companies are at the forefront of this. Protix has developed the technology to produce insect protein anywhere in the world on an industrial scale. And Impossible Burger makes burgers made from plants which look and taste like beef. Further means by which people can improve their diets are also already available. DNA analysis is now fast and cheap. Through it nutritionists are able to advise people on the best food to eat given their genetic make-up. The WEF argues that this will be an important element in combating obesity in the near future. The San Francisco start-up Habit is already offering a service whereby it analyses customers’ DNA and provides them with dietary recommendations via a mobile app. The relatively new science of precision agriculture will be of huge benefit to larger farms. Companies such as Farmers Edge use satellite technology, soil sampling and weather stations to help farmers maximise yields and reduce waste. The WEF is invariably ahead of the curve when it comes to examining big global issues that affect us all. We can expect more and more stories in the mainstream media about the crisis in food production and some of the solutions out there. Innovation with a Purpose is a hopeful document in that it outlines many ways in which agriculture can be improved to the benefit of all. But the problems are many and complex. Much of the world’s agricultural producers are in developing countries and many of them live in poverty, often without electricity. The challenge therefore is not so much around what technology is available but how to make it cheap enough and accessible enough to benefit small producers in poorer nations and, at the same time, to educate people more about the food we eat. This will require global co-operation and significant government investment, not just for research but also for implementation, and the participation of all of us. After all we all eat.